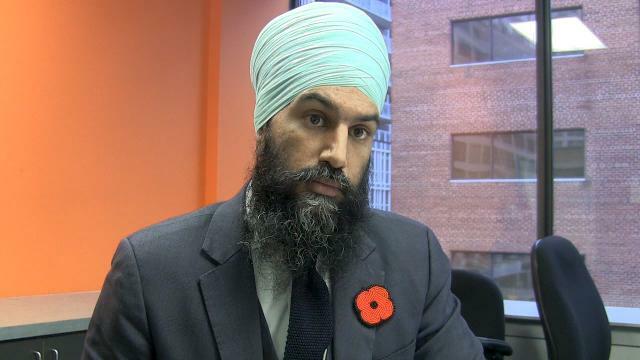 Nov. 7, 2017 2:45 p.m.
NDP Leader Jagmeet Singh is urging Prime Minister Justin Trudeau to consider decriminalizing all illegal drugs in an effort to combat Canada’s escalating opioid crisis..
Singh, who campaigned on a similar promise during his party’s recent leadership race, says he will push the federal New Democrats to make the position part of its own formal policy platform. The NDP is scheduled to hold a policy convention in Ottawa in February. Singh, a former criminal defence lawyer, has been vocal about the opioid issue ever since becoming the party’s newest leader, including during a trip last week to British Columbia. He says the majority of Canadians struggling with opioids are plagued by mental health problems, addiction and poverty, and that the solution lies in tackling issues of social justice, not criminal justice. Canadian health-care experts, including B.C.’s provincial health officer, have urged the federal government to strongly consider borrowing from Portugal’s approach to drug policy, including decriminalizing personal possession of illicit drugs.